"San Francisco basically. I go to school in San Diego and every time I come back here, I buy as many things as I can. The vintage stores around here. And Mission and Valencia, I guess, making an outfit out of it." Her outfit, to me, is an idealized outfit for a San Francisco day: pretty red dress, sandals and denim jacket. It's nice touch that the dress is cinched together by a rugged leather belt. 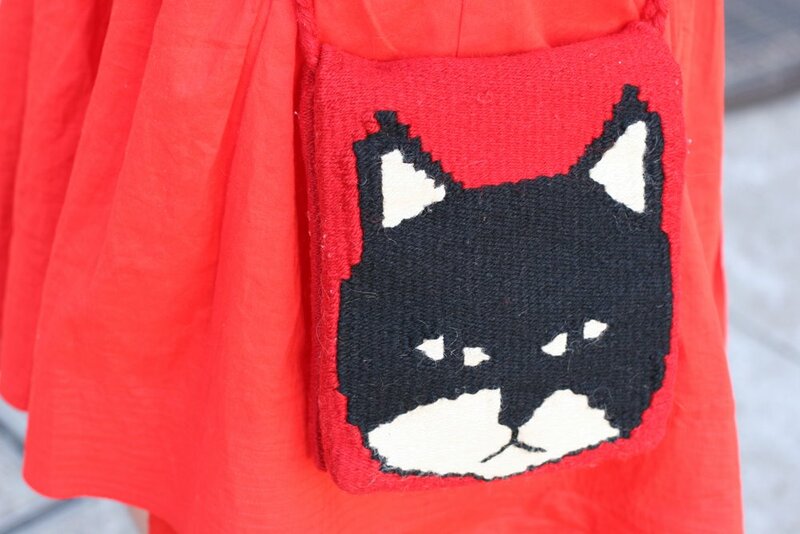 A cute cat bag that blends into her dress.